Here’s a selection of award eligible work for 2018. 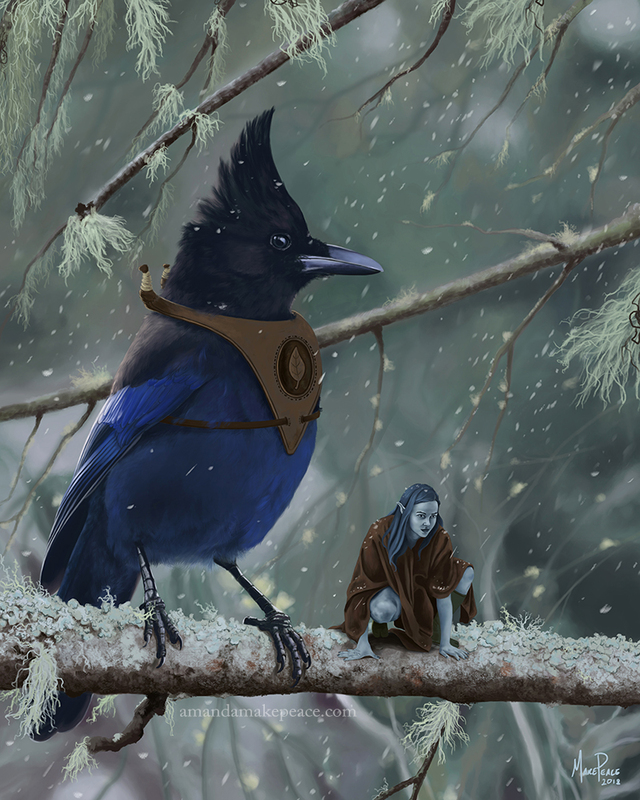 These artworks qualify for the Best Fan Art category of the Hugo Awards. "Perchance to Dream" -- Cover, Paperback, Long List Anthology Volume Four, Diabolical Plots, December 2018 | Media: Digital Painting. Cover for the Long List Anthology Volume Four: More Stories from the Hugo Award Nominations List. 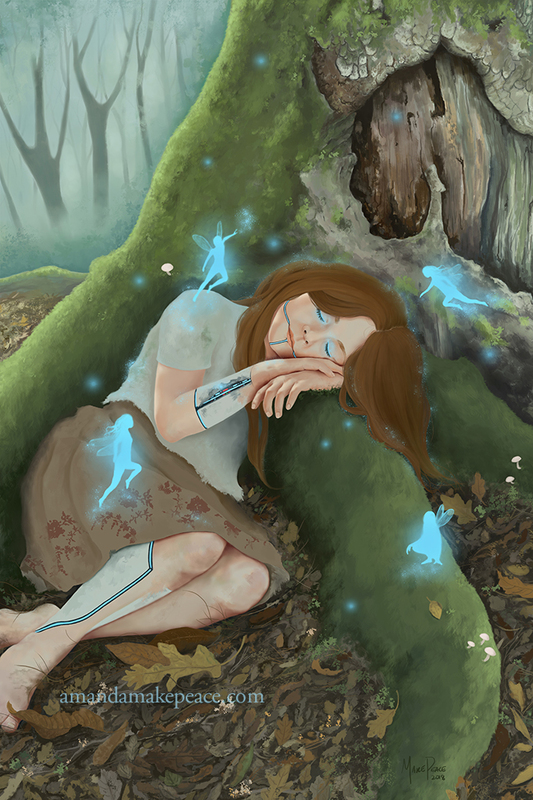 The artworks below are available to license for book covers and other publications. Please contact me to discuss rates at makepeace.arts@gmail.com. This Spring I had the pleasure of creating the cover art for Diabolical Plots: Year Three, an ebook anthology of stories from Diabolical Plots, an online magazine of science fiction and fantasy. The editor, David Steffen, was fantastic to work with and it's my hope we will work on future projects. He previously licensed The Alchemist for the cover of the Long List Anthology Volume 3. For this new anthology I created an original illustration inspired one of the stories in the book. For Now, Sideways by A Merc Rustad is a beautiful, emotionally charged story about a woman at the end of a war on an alien planet. It's not your typical military science fiction and I didn't want the art to be either. The painting is as much telling a story, through the characters, as it is expressing an emotion through color palette. Prints of Maybe Tomorrow are now available in my store. I'll also have some with me this summer at LibertyCon and DragonCon. Interested in reading the story that inspired the cover? The ebook is available for preorder from Amazon for only $2.99!! by David Steffen et al.